Notes include definition and description of literal equation. It compares equations, formulas, and literal equations. 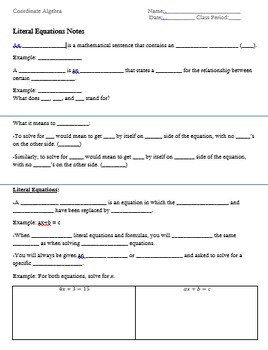 These notes serve as a great outline for a discussion on the purpose of using literal equations.